It is in all likelihood not an accident that you arrived at this page. Due to the nature of our business it seems the majority of our visitors are referred here. Regardless of how you got here, I’m most certainly glad you came. I am a different type of Chiropractor, and as such, this site is different from the majority of chiropractic websites. Assuming you have yet to encounter animal chiropractic before, let alone Structural Corrective Care, I would bet you would have several questions. This web page is set up as a learning experience specific to Structural Correction. To learn more simply click Structural vs Traditional chiropractic button on the left menu to begin your journey. For equine bookings or any mobile Corrective Chiropractic service, please book via text or by calling 0477 226 878. 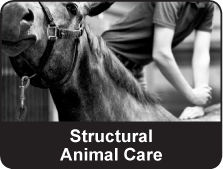 Align Equine Chiropractic is the only Structural Correction Mobile Equine Chiropractor in Australia. We specialise and focus on the specific Structural Correction of the spine for animals and humans in order to address the PRIMARY CONDITION, a Structural Shift away from NORMAL. Our purpose is to provide a comprehensive solution to resolving problems related to structural abnormalities in the spine and nervous system, to allow a body to work at its highest capacity. Let us show you what normal versus abnormal is. 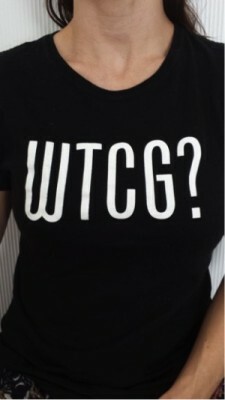 WTCG stands for Walk, Trot, Cantor, and Gallop. No matter what the gait … remember a horse’s structure will dictate its performance! If you experience your horse as stiff or just not moving as it used to, it may mean a Structural Shift has occurred in the spine. A structural correction does not take a long time to complete after the fault has been identified. Just like for humans, the number of corrections required is dependent upon the severity of injury, the time since the injury and finally how the individual horse responds to a correction. We always check and test the horse two weeks after an adjustment. If no signs of a Structural Shift are found during a visit then there is no correction charge applied. This is our goal. Gentle and specific corrections can mean the difference between your horse winning or losing by a nose. Make sure your investment in your horse, whether for love or money, produces function towards an optimal level, while ensuring a life without nagging pain and reduced performance. To see when and where we are near you, follow us on facebook or twitter. A Correction fee only applies if a Structural Correction is applied. We do not charge for analysing and testing for Structural Shifts, this is a complementary part of our service. Our goal is to promote structural shifts towards normal so that correct structure can translate to correct function and therefore no Structural Corrections are warranted. Fees are worked out on an individual basis depending on number of people, animals, types of animals and distances/time involved. All prices include call out fee unless travel time exceeds an hour. After initial consult and a correction, if needed, we recommendation a phase of care followed by a PROTECTION PLAN which involve checking and correcting on a individually catered basis so that you may act before Secondary Conditions become an issue. Please ask about this service. Your Mobile Horse, Animal and Human Chiropractor based on the Sunshine Coast! We travel to you. A consultation with us is a conversation, not a commitment! 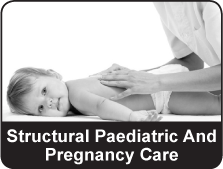 Align Chiropractic Centre’s sole practice is that of Structural Chiropractic. We do not provide veterinary services or perform any kind of veterinary medicine. For these services please contact a veterinarian.